Sports tryouts are more strenuous than regular exercise or activity, as added adrenaline and the pressure for an excellent performance add extra stress, mentally and physically. Eating before your tryout will help ensure a steady supply of glucose circulating in your bloodstream, ensuring that you have enough energy to do your very best. Proper food choices, such as a carbohydrate-rich meal, will help optimize your available glycogen. Consume a meal of between 65 and 125 grams of carbohydrates four to five hours before your event. The suggested calorie range is between 400 to 800 calories, composed primarily of complex carbohydrates and little to no fat or sugar. Also avoid consuming foods high in protein, although a small amount is good. Carbohydrates, unlike fat or protein, can only be stored for a short period of time, making them your body's first go-to source for energy when engaging in strenuous exercise. Fats will also delay digestion, reducing the amount of energy you will have available for the tryout. 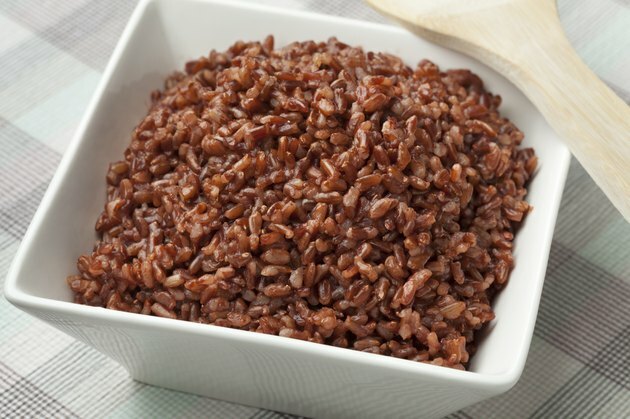 Good suggestions for foods include brown rice, whole grains, legumes and vegetables. Eat a calorie-rich meal or drink a calorie-rich replacement beverage containing more than 19 grams of carbohydrates two hours before the event. The drink should be between 250 to 350 calories and low in fat, with less than 25 percent of your daily recommended fat intake. The high quantity of carbohydrates is more important for available energy in the short term. Drink a carbohydrate-rich beverage one hour before your tryout to help maintain glycogen stores during the tryout itself. Unlike the meal-replacement drink, a carbohydrate-rich drink choice will contain little to no fat or protein and be nonetheless high in calories. A good carbohydrate-rich drink will contain 19 grams or more of carbohydrates and be between 250 to 350 calories for every 8-ounce serving. Drink a sports drink or another fluid-replacement drink a half hour before your tryout and during your tryout to replenish your body's water supply. Fluid-replacement drinks contain sodium to help your body hold onto water and to restore your electrolyte balance during strenuous exercise. Drink both before and during the event, especially if you are conducting more than 60 minutes of high-energy exercise. The ideal fluid-replacement drink will have between 30 and 50 milligrams of potassium, between 50 and 170 milligrams of sodium, and possibly 19 grams or more of carbohydrates per 8-ounce serving. For individualized recommendations, consult a nutritionist or sports doctor. Consuming your meals too early or too late can affect your glycogen levels and possibly your performance.